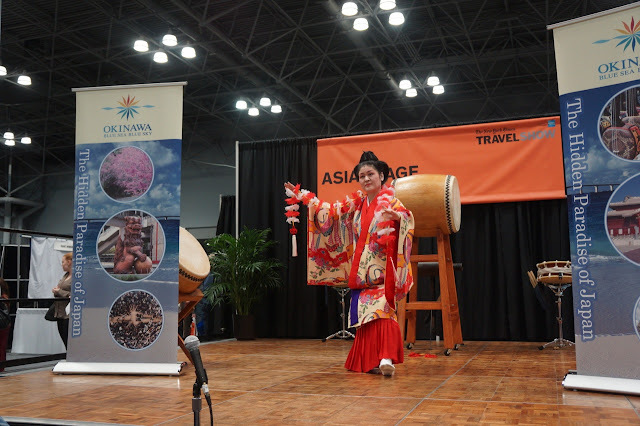 at the New York Times Travel Show held last weekend. Thank Susan for nice photos ! I would like to report on yesterday's New York Times Travel Show. 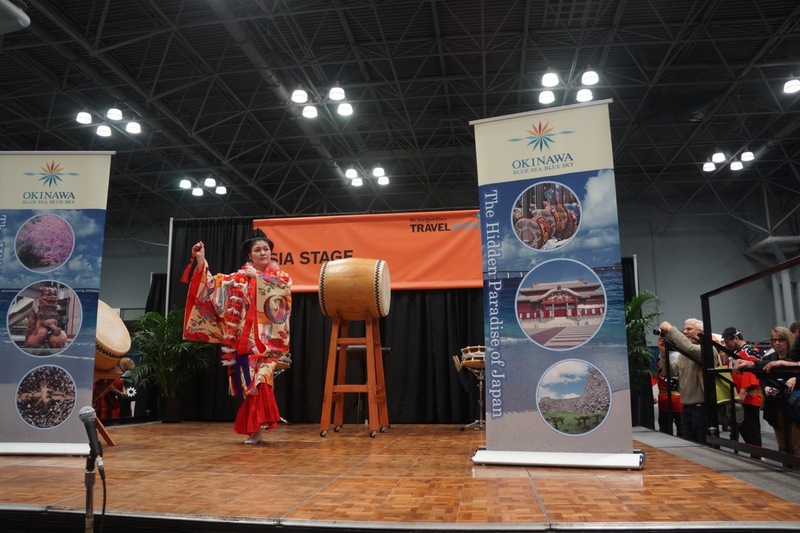 Many people visited Japan-and-Okinawa booth. 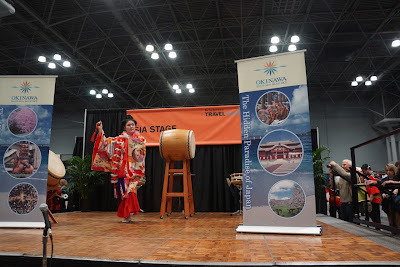 I performed on the main stage of Asian zone and at the Okinawan booth as well. Here are photos from yesterday's event. Okinawa has many tourist spots. 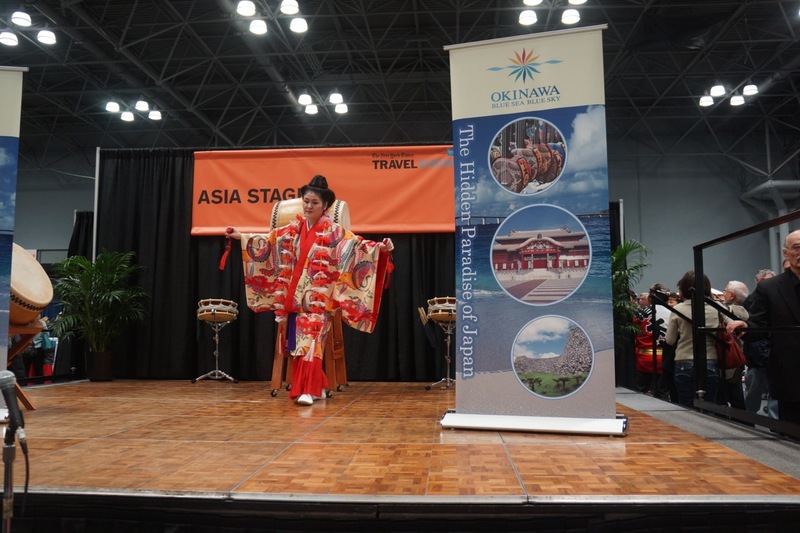 Please visit Okinawa! will report details of the Boston Travel Show soon. 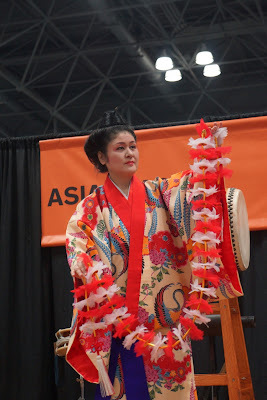 If you will visit the Jacob K. Javits Convention Center on Jan. 19th, please visit me at the Japan Booth (#655). 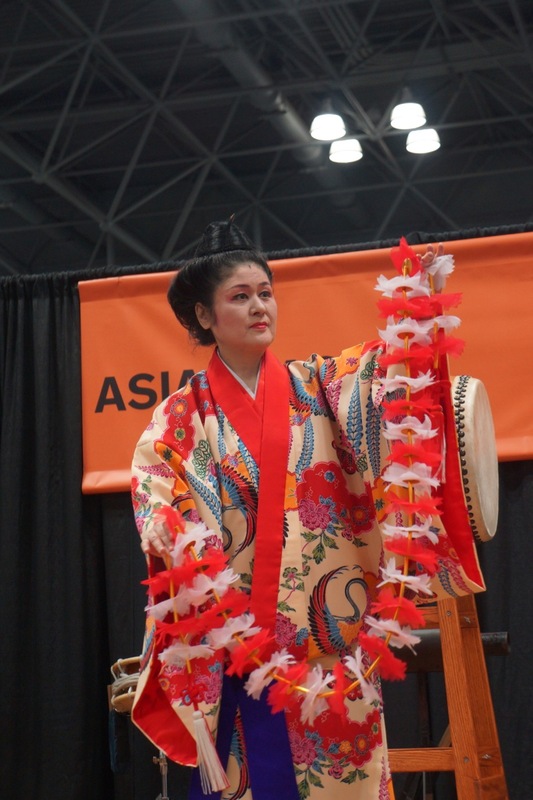 The program will include dance and Sanshin music. Please join Okinawan folk dance! Please come to Exhibit Hall 3B. 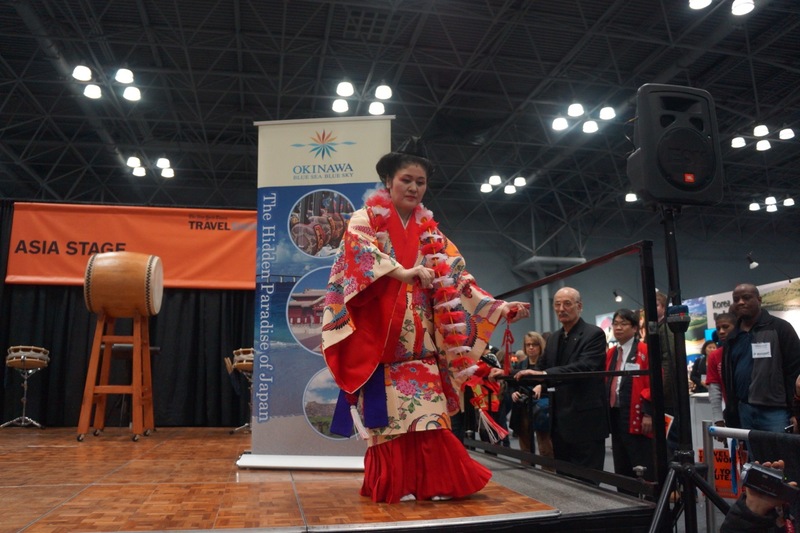 The Japanese and Okinawan Booths are located in the Asian Zone. Other performances from other Asian Nations will be held on the nearby stage. The other zones are US, Latin America, Caribbean, Europe Africa and Adrenaline zone. Each zone has their own performance stage. 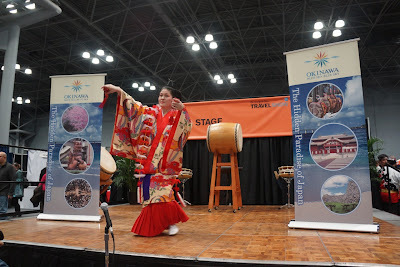 I have listed my new video clip (Okinawan folk songs) on YOUTUBE today. I wish you all have a wonderful New Year. Thank you for supporting me and joining my performances last year. I hope to see you again at my live shows.